Being a parent means you have to get really good at multitasking. You need to be a cook, a cleaner, a nurse, a entertainer, a house keeper, a personal shopper, an accountant, a mediator, a taxi driver, a personal assistant... the list could go on and on! But, what if I told you that there is now a product out there that can take some of the load? Something that can do some of your jobs for you and act like a second pair of hands? Well my fellow bedraggled, drained parents... let me introduce you to the Lenovo Smart Display with Google Assistant! A couple of weeks ago Pickle and I headed to London to meet Kimberly Wyatt and the Lenovo team to learn all about the new Smart Display and to do some spooky Halloween cooking with the help of this revolutionary hands free technology. What sets the Lenovo Smart Display with Google Assistant apart from other home assistances is that the Lenovo is designed especially for busy families and with parents in mind. It can show you recipes, videos, news, websites, music, information and tutorials all totally hands free! You can add things to your shopping list with just your voice. See how cold it is outside whilst your battling the kids into their coats by simply asking. Kimberly Wyatt gave us a great demonstration of how she uses her Lenovo Smart Display with Google Assist by doing some baking. 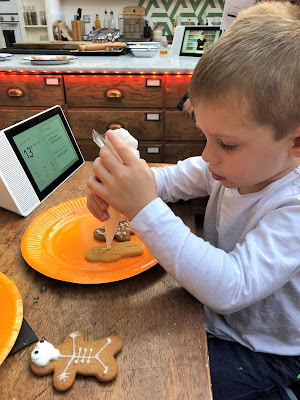 Seeing as it was Halloween it seemed fitting that we made some gingerbread skeletons and I was gobsmacked at how easy the Smart Display made the whole process. If you’re anything like me, when you bake at home you’ll have your phone or tablet to hand with a recipe on it. By the end of the baking session the phone is usually covered in flour and eggs and sticky finger prints where I’ve had to unlock it as it’s timed out or where I’ve scrolled through the recipie or where Pickle has got bored and tried to run off to watch Netflix on the table! Well the Lenovo Smart Display with Google Assist stops all of this! Kimberley showed us how easy it is to ask Google to pull up a recipe and start cooking. The Lenovo splits any recipe from the web into a step by step guide and will talk you through it at a speed that’s good for you. You can go back, skip forward, ask for Google to show you pictures or videos... all totally hands free with just your voice! Watching it in action was amazing and I can see it being a huge game changer in the home assistant market. It’s not just cooking and kitchen tasks that this little beauty can help you with. It can map routes, check your calendar and even help you to call your mum when your hands are full with a baby that just won’t stop crying! They have even thought about safety and privacy. It’s equipped with a TrueBlock Privacy Shutter and microphone mute button hard keys to provide peace of mind and a parental control that allows you to set downtime and control content. 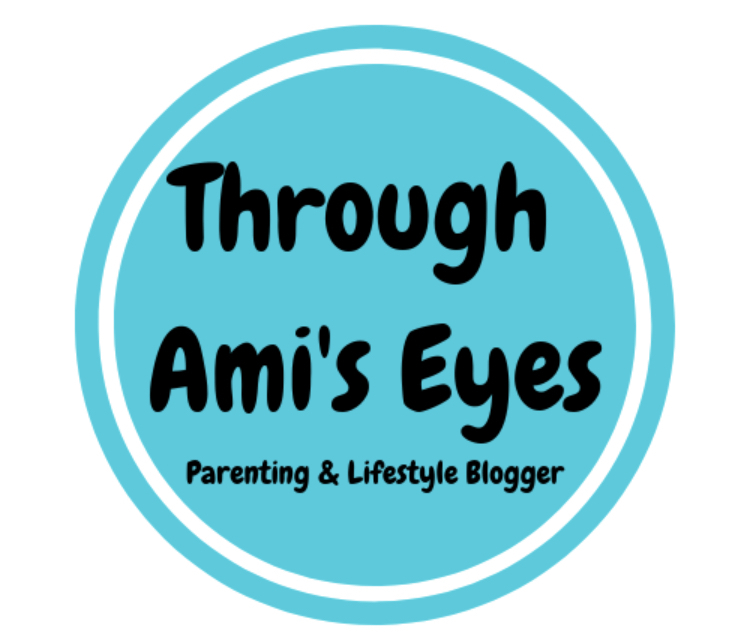 It helps with the challenges of family life and streamlines the mundane day to day chores which is something I think every household will soon want! As someone who is also constantly getting her tablet messy while cooking, this looks amazing! What a great idea! I hate it when I am trying to follow a recipe and my phone times out and I have messy hands etc. That sounds amazing. There is nothing more infuriating than your phone closing down the display while you're mid-recipe.